The triumph makes Jaime Murray the first man to win consecutive US Open mixed doubles titles since Bob Bryan in 2003-04. 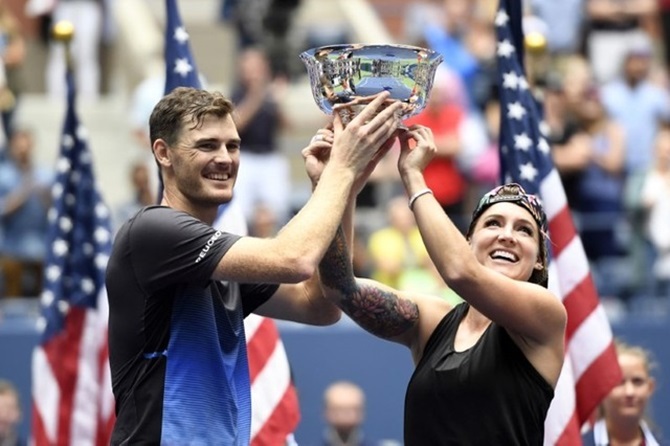 Britian's Jamie Murray and American Bethanie Mattek-Sands captured the US Open mixed doubles title with a 2-6, 6-3, 11-9 victory over Croatia's Nikola Mektic and Poland's Alicja Rosolska on Sunday. "It was a little emotional getting that win," said Mattek-Sands. "I thought I did a really good job throughout all the matches, kind of putting that aside and just going out there and playing tennis."